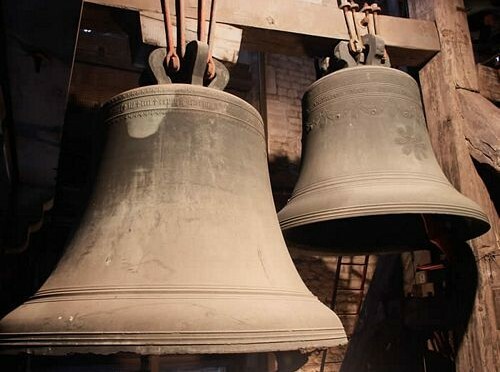 There is a peal of eight bells; five dating from 1695 (bells 4, 5, 6, 7 & 8); one (the 3) from 1696 and two from 1994 (the treble and 2), these latter two recasts replacing the original pair cast in 1775. St Mary’s has an enthusiastic band of bell ringers, currently with around 12 regular members, plus a number of learners. Ages range from 11 to very mature! We normally ring for the 10am service each Sunday and for special weekday services and weddings. Our weekly practice is on Wednesday evening from 7.30-9.00pm. Visitors to the tower are always welcome.